Ashraf Marwan, a wealthy businessman and the son-in-law of Egypt's late President, was buried Sunday amid controversy over his suspected role as an Israeli double agent. Marwan, 62, was found dead Wednesday at the foot of a luxury apartment block in London where he had lived for more than 20 years. Hundreds of mourners, led by Egyptian President Hosni Mubarak's powerful son, Gamal, and senior government officials gathered for the funeral at a mosque near the presidential palace in Cairo. Egypt's highest ranking Muslim imam Sheikh Mohammad Seyed Tantawi led prayers at Marwan's coffin, which was draped with an Egyptian flag, as his wife, sisters and other family members sobbed. The death of Marwan, suspected of being a double agent for Israel during the 1973 war, sparked a debate in Egypt and Israel about his past and also raised questions about his dramatic death. Egypt's Middle East News Agency had said initial indications suggested Marwan fell from his apartment balcony in the affluent Mayfair neighborhood in London. But on Sunday the state-owned Al Ahram newspaper reported that investigators are not ruling out murder. Some opposition lawmakers recently demanded an investigation after Egyptian papers carried reports from Israeli media about Marwan's possible role as a double agent during the 1973 war, when Egypt and Syria waged a sneak attack against Israel on the Jewish holy day of Yom Kippur. The Egyptian government has never commented on these allegations. Many in Egypt regard him as a national hero, crediting him with engineering a disinformation campaign that contributed to the Arab forces' early successes in the war. MENA reported that Marwan received the highest honors for his "achievements" during the 1973 war from former Egyptian President Anwar Sadat. The news agency did not elaborate. Maj. Gen Eli Zeira, who was fired from his position as head of Israeli's military intelligence over the country's failure to predict the 1973 Arab attack, said in a 1993 book that Israel was caught by surprise because it was led astray by a double agent he did not identify. But Marwan's name subsequently was released to the press. The head of Israel's Mossad spy agency at the time of the war, Zvi Zamir, accused Zeira in 2004 of leaking the agent's name to journalists in an attempt to explain his own failures. Zeira hit back by suing Zamir for libel. But the case ended just last month when a court confirmed Zeira leaked Marwan's identity. According to Israeli media reports, Marwan first walked into the Israeli Embassy in London in 1969 and volunteered to give information, but was turned down. He later was allegedly recruited by the Israeli intelligence agency, Mossad. Born to a father who was a military officer in Nasser's presidential guard, Marwan joined the army himself after he finished a degree in chemical engineering. He later worked as an assistant to Nasser, and after Nasser's death in 1970, he became a political and security adviser to Sadat. 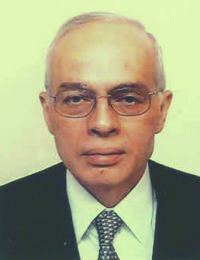 In the 1970s, Marwan worked as head of Egypt's giant government-owned military industry complex before he retired and moved to Britain 25 years ago to work in business.